3 Bedroom House To Rent in Burton on Trent for £750 per Calendar Month. 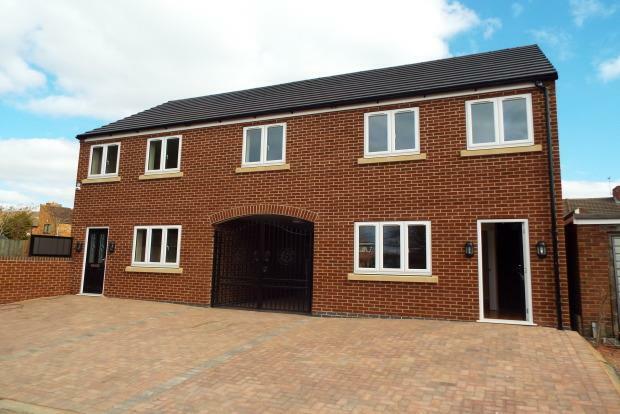 A brand new three bedroom semi detached home located on Patch Close, Burton on Trent. The property is finished to a high standard throughout and situated within walking distance to local amenities. This well presented home offers a spacious living area comprising open plan breakfast kitchen, spacious lounge with wooden floor throughout, stairs leading to the first floor, three double bedrooms and a family bathroom. To the front of the property is a paved driveway with an archway between the two properties leading to the rear courtyard. The property is double glazed throughout and benefits from gas central heating. The property is located with easy access to the town centre featuring shops, bars, restaurants and other amenities. It is also close to nearby travel links such as A38 and A50 as well as local bus routes. Call Frank Innes today on 01283 512661 for a viewing!